As we move ever closer to construction, Claire Corrin, MK Gallery’s Exhibitions Organiser, describes the work undertaken over the past couple of weeks to empty the building. As anyone who has ever moved house will know, you always have much more stuff than you anticipate and after 17 years, MK Gallery is no exception. The team and I have been extremely busy with clearing the building of workshop and AV equipment, catalogues and library books, all of which have been moved in to a storage unit until next year. It’s an incredibly exciting time, albeit bittersweet, as light bounces off the empty gallery walls and sounds echo from room to room. We’ve documented the process for this blog post, and we hope that you enjoy these behind-the-scenes photos. 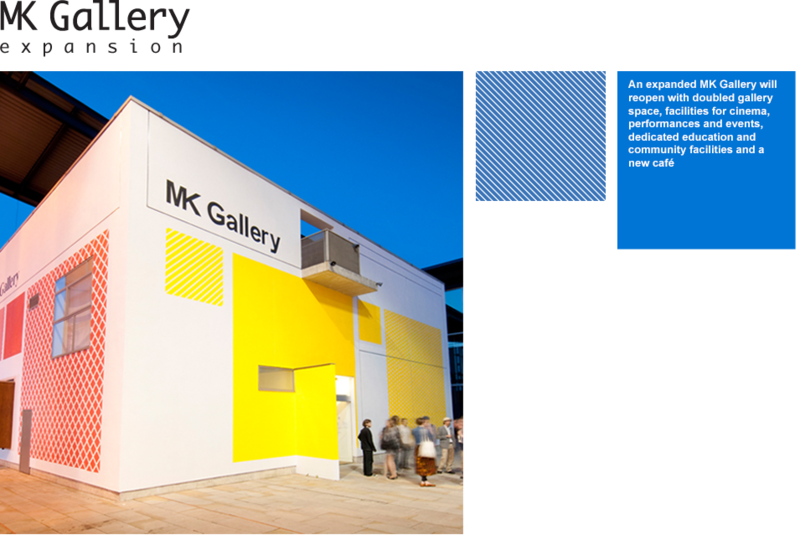 With unanimous support, planning consent for the redevelopment and expansion of MK Gallery was granted at this evening’s MK Council Planning Committee meeting, enabling the delivery of this world-class building with award-winning architects, 6a. Working to create a cultural, artistic and social centre with bar and café; auditorium for film, music and events; and dedicated community facilities, the Gallery will re-open in 2017, as part of the city-wide celebration of its 50th anniversary year. Tonight’s decision applies to an adapted expansion plan which originally received planning approval in March 2015. The revised plan incorporates improvements including an auditorium making the most of stunning views over Campbell Park in Central Milton Keynes. “We are thrilled to receive planning consent. The unanimous support of the application is an endorsement of the detailed design work undertaken over the past three years. We now look forward to getting underway with the build, seeing this world-class gallery come to fruition, and welcoming larger audiences from 2017”.